Editor's Note: This feature originally appeared in the December issue of DS News, out now. In today’s world, natural disasters can cause serious, widespread damage. Regions across the country are being hit hard by weather events such as hurricanes, floods, tornadoes, and wildfires. With the impending cold weather right around the corner, severe snow storms and historic blizzards are a real possibility. 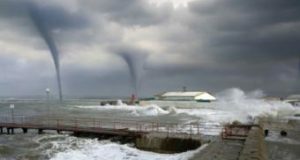 These types of natural events can damage your individual asset or, on the extreme end, leave entire communities destroyed and property owners scrambling to find ways to repair the damage. For real estate owned (REO) managers, the damage could be even more impactful. Without a well thought-out plan, having multiple properties in a disaster-stricken area could leave an REO manager with preventable repair costs. Preparing for a natural disaster and knowing what to look for in its aftermath can help minimize damage and relieve the immediate post-storm anxiety. Planning to prepare prevents poor performance and has more relevance and financial impact with natural disasters than in most situations. Below are some suggestions about what REO owners and managers can do to prepare for a natural disaster, how to assess damages after the fact, and ways to stabilize your inventory after the event occurs. Depending on the location of your property, it can sometimes be difficult to find out if a property is likely to be affected by a natural disaster or not. When it comes to events such as hurricanes or tornadoes, areas prone to these events are fairly obvious. For example, we don’t expect homes in the inland part of the western United States to be damaged by a hurricane or storm surge. Conversely, Florida won’t have a blizzard or two feet of snow anytime soon. Areas with predictable weather events, such as neighborhoods that flood or regions prone to wildfires have typically been identified because of the consistency of such events occurring. Government agencies such as the Federal Emergency Management Agency (FEMA) provide user-friendly tools via their websites to assist users in determining if their property has the potential to be affected. For example, users can type in the address of their property and FEMA will show a map of the property and surrounding area, indicating the areas most likely to be affected by flooding. Other state and federal agencies may also provide details on areas prone to wildfires and post-wildfire flood risk. It’s important to note that your portfolio should be checked annually, as some areas that weren’t impacted in the past could now be considered at risk. After fully understanding the area, REO managers should review all hazard insurance policies to confirm that the property is covered for a likely event. Work proactively to review all “additional insured” and confirm that the owning entity is actually named as an insured party to the policy. The worst time to find out that the property isn’t covered for damage, injury, or both is after the event has passed. Many times after a natural disaster, people who chose to stay in their homes are questioned about why they didn’t evacuate. Depending upon how much damage their property sustained, their answers can vary from “We knew it wasn’t going to be that bad” to “We didn’t expect it to be this bad.” In most cases, their answers often have to do with underestimating the severity of the event. They recall that time or two when predictions didn’t match reality and only resulted in negligible damage. This same casual attitude about preparedness can leave an REO manager unprepared to deal with the consequences of a serious natural disaster. Several natural disasters in recent years have broken records for their severity. In 2014, Buffalo, New York, experienced over 72 inches of snow in four days due to two separate storms. Five of the 10 largest California wildfires have occurred in the last 10 years alone. Some areas that weren’t impacted in the past are suddenly experiencing serious damage. It’s important for REO managers to hope for the best but prepare for the worst. When a natural disaster is expected to hit a region where you have properties, be sure to track the weather event closely and keep up-to-date with the latest predictions. Preparing for a natural disaster can mean the difference between an asset being completely destroyed or marginally damaged. No one wants to do costly, unnecessary repairs if they don’t have to. You may not need to stock up on water bottles and batteries, but there are things you can do to protect your property. Knowing what kind of damage your property may or may not be subjected to and preparing to minimize the damage can help save a lot of time, money, and headaches. REO managers should have a checklist of the preventative measures they need to take based on the type(s) of disasters most likely to affect their properties. REO managers should also secure a list of trusted service providers they can rely on when repairs are needed both before and after a weather event. The good news is that many preventative measures are part of standard property maintenance. Keeping trees trimmed, ensuring openings are properly sealed, performing roof maintenance, and even confirming insurance coverage are all things that are typically done regardless of whether a natural disaster is expected. However, other preventative measures will need to be disaster specific. During a hurricane event, things like boarding windows, stacking sandbags, securing objects to prevent them from becoming windborne, and clearing out debris can make the post-event cleanup much easier and safer. 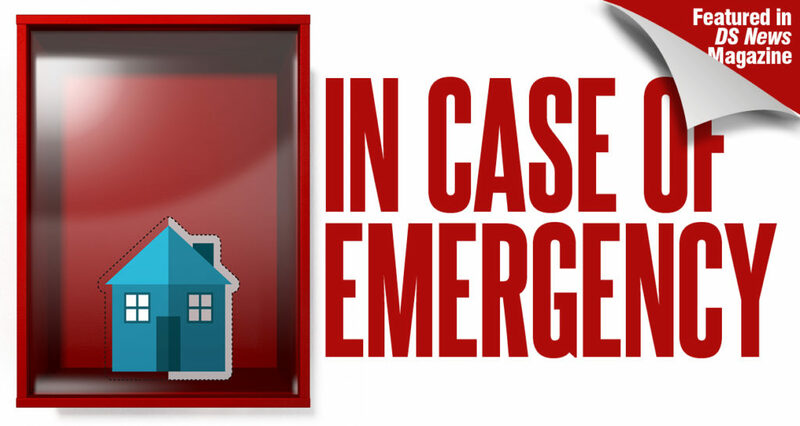 Some options can be more costly but may be well worth it, depending on the frequency and severity of natural disasters in the area. For example, hurricane straps help secure the roof to the walls in high winds and can be used for both hurricanes and tornadoes. Sometimes, even taking the highest of precautions won’t prevent a property from experiencing damage during a natural disaster. Some companies offer on-the-ground inspections of affected areas immediately after a natural disaster and provide their customers with damage assessments. If your asset needs repairs poststorm, that list of trusted professionals will come in handy. Being a thousand miles away from an active repair represents an issue in and of itself. Effective communication is the key to providing assurance that work is progressing as expected. Regular phone calls that ask the right questions and provide immediate direction are essential. In some cases, traveling to the asset or scheduling a third party to inspect the repair process on your behalf may be necessary. Additionally, it’s also important to pay attention to what’s happening “after the storm has passed.” As we saw when Hurricane Michael hit North Carolina recently, most of the damage to the already-devastated properties was not caused by the wind and falling rain but rather by the severe flooding weeks after the storm had passed. Despite your best efforts, taking on unexpected costs after a natural disaster can be disappointing and may not be totally preventable. Most disappointing could be damage to recently completed repairs, requiring the same cost to be incurred again. However, after the necessary repairs have been completed, you may also be able to use that to your advantage. Turning a disaster into an opportunity is a savvy move that can help recoup some of the funds lost to repairs. Need new windows? According to an article from the National Association of Realtors, millennial homebuyers are looking to be energy efficient and maintain their privacy with glass that can go from clear to opaque in seconds. Upgrading that window replacement may be well worth the investment. Flood waters ruin your flooring? Installing laminate or wood-look tile offers easy maintenance and resistance to wear and tear. You can also emphasize that newly sealed basement or ease buyers’ minds with the protection from that new roof. Don’t forget about the exterior. It can be hard to think of spending more money on flowers or replacement siding if you’re dealing with other serious, more costly repairs. However, natural disasters can wreak havoc on the curb appeal of a property. Setting the right tone with an attractive look can help make or break a sale. By strategically taking advantage of repairs, you can better appeal to the market by upgrading something you may have had to replace anyway. These things may not have been part of the original plan, but they can certainly become selling features. Whether the buyer is looking for a forever home or plans to flip the property, your repairs are one less thing they have to worry about themselves—and that can help set your property apart and reaffirm their decision to buy. Dealing with a natural disaster can be tough. While we can’t control Mother Nature, we can control how we interact with her. With the right preparation, engaged monitoring throughout the storm, and due diligence in the aftermath, REO managers can put themselves in the best position to come out on top. Andrew Oliverson is currently the SVP, REO Sales at Green River Capital, a Radian company. He joined Green River Capital in 2005 after working several years in collections, loss mitigation, commercial asset management, and mortgage origination. He received a bachelor’s degree in economics at the University of Utah and currently holds an active Utah broker’s license.